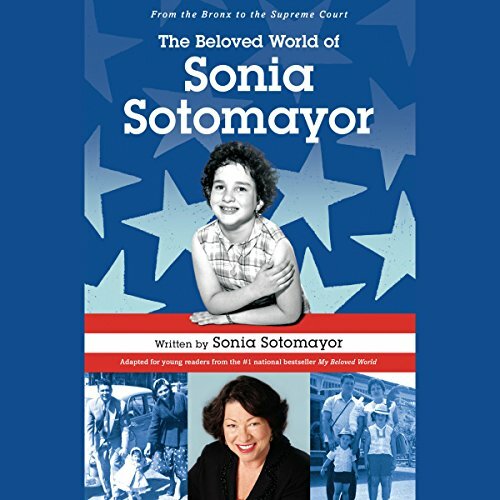 In this adaptation for middle graders based on her best-selling adult memoir, My Beloved World, Associate Justice of the Supreme Court Sonia Sotomayor's extraordinary life inspires. Her achievement serves as a true testament to the fact that no matter the obstacles, dreams can come true. Sonia did not let the hardships of her background - which included growing up in the rough housing projects of New York City's South Bronx, dealing with juvenile diabetes, coping with parents who argued and fought personal demons, and worrying about money - stand in her way. Always, she believed in herself. Her determination, along with guidance from generous mentors and the unwavering love of her extended Puerto Rican family, propelled her ever forward. Very important book for kids with disabilities! I have admired Justice Sonia Sotomayer for many years and I enjoyed hearing/reading her story in this version of her book written for young people. I think this a very important book for kids with disablities or from disadvantaged situations. We can arrive above these things with perserverance and caring people around us! In particular young people considering a future in law may enjoy this book. I particularly enjoyed the narration. Jania Lee Ortiz did a great job. I would listen to more from her.